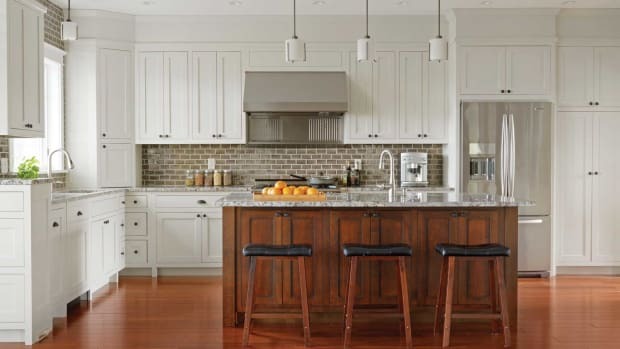 Irie Cabinetry of Denver brings a touch of the West Indies atmosphere to its clients throughout Colorado, something owner Scott Kelley strives for. Originally from St. Thomas in the U.S. Virgin Islands, Kelley says the word “Irie” (I’-ree) is used often where he’s from. It’s a positive term used to describe how someone is feeling. “Irie means you have a good feeling. If you are feeling excellent, you say you are feeling Irie. 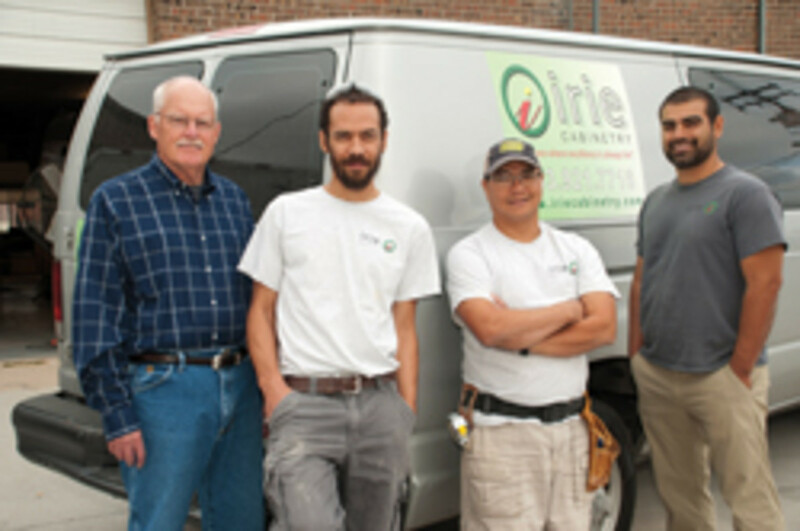 So we wanted to name the company Irie Cabinetry. We want people to feel great in their kitchen. We want to give people the Irie experience of an Irie product from Irie people,” Kelley says. 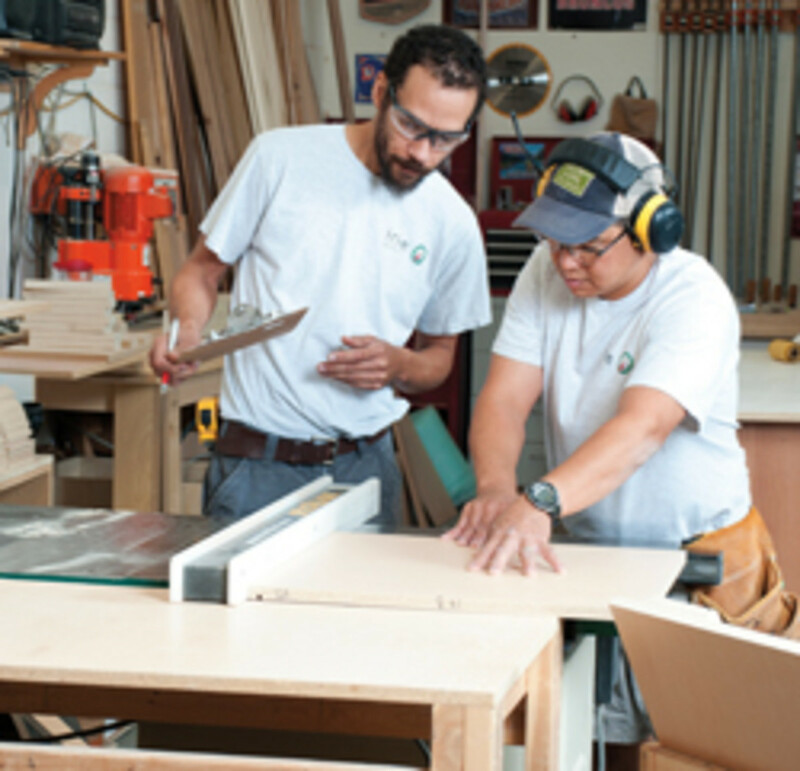 The four-man shop offers a full range of custom cabinetry. Sometimes people unfamiliar with the word and its pronunciation associate it with the town of Erie, a small town just north of Denver. The misunderstanding has actually brought in a few jobs. “They thought we were located in Erie, which is fine because we will travel all over for whatever business. No job is too big or too small,” Kelley says. Kelley came to the U.S. when he was four years old, along with his two brothers, because his father was ill with a brain tumor. He stayed with his aunt and uncle in Denver while his father received advanced treatment. He moved back and forth between the islands and Denver after his father died, trying different vocations and deciding what to do with his life. “I moved to the islands again in ninth grade, but realized I needed to get my education because things were a lot slower there. My transcripts were never sent and we were on the beach fishing every day. I was just getting older and older and saw myself not going to school. I asked my aunt and uncle if I could move back in and then I finished high school here in Colorado,” Kelley says. He went back to the islands after high school, where he started a small farm with his brother, ran a bicycle messenger business and began taking general classes at the University of the Virgin Islands. His direction in life changed again when he met a woman, Kizzy, who is now his wife of almost 20 years. Once they started a family, Kelley knew he needed to find gainful employment. 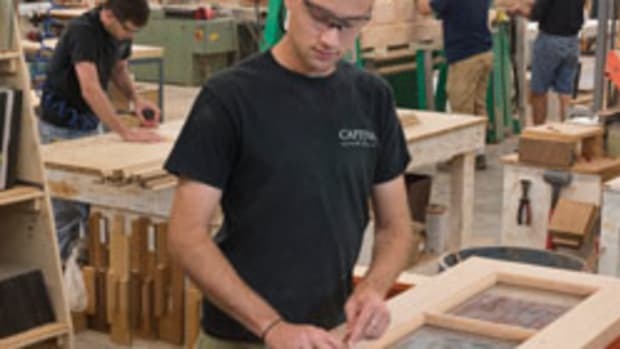 He began doing some cabinetry work for one of his college professors at UVI, a person who also became his mentor. After a short while, he wanted to expand on his horizons and show his family a better life. 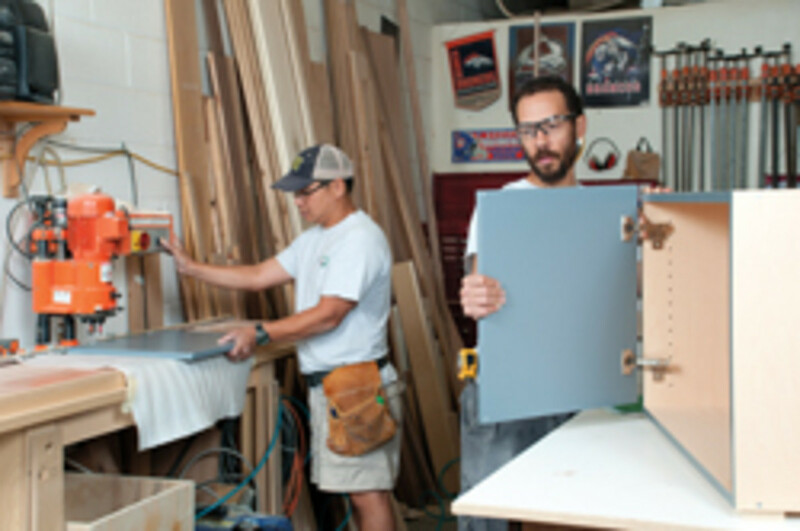 Kelley found a job doing installation work for cabinetry shops and then started his own installation business that year. He literally had his foot in the door. His next challenge was finding a way to get his designs into people’s homes. The jobs accumulated and eventually Kelley had enough to invest in his own shop where he could finally fabricate his designs. 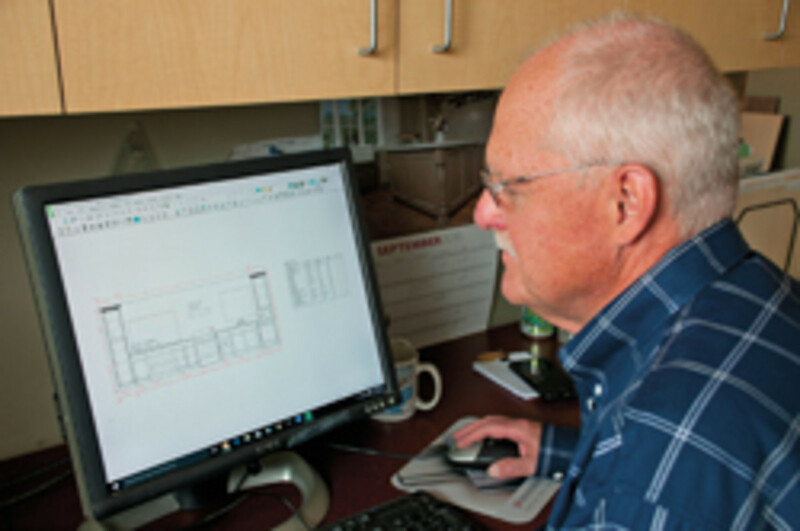 He purchased a computer design program and hired an employee, Don Fiddes, who still works in the shop’s drafting department. Kelley opened his first official shop in 2005, which was across town in Englewood. 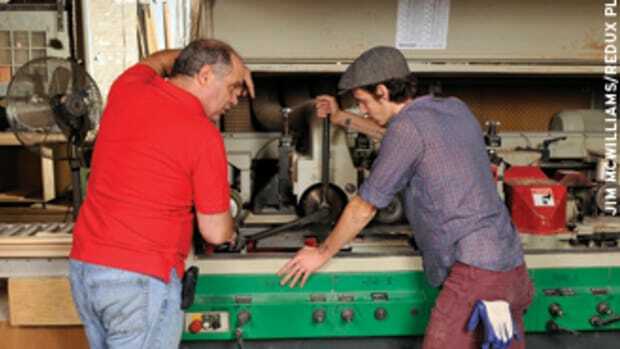 In 2010, he got himself closer to home with his current shop, a 2,000-sq.-ft. space in an industrial complex. Things are pretty cramped now and Kelley is actively searching for a larger space to suit the needs of the business and have a showroom. 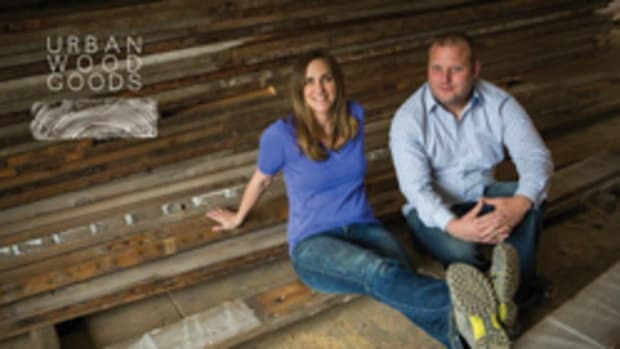 The goal is to find a suitable 5,000-sq.-ft. space by early next year. “The challenge of buying a building right now in Colorado is that the marijuana industry runs the show. Cash is king. So if a distributor wants to come in here, they will buy us out in no time at all,” Kelley says. He is referring to Colorado Amendment 64 that led to the January 2014 legalization of cannabis use within the state with certain restrictions. Conflicting federal laws prevent certain money tied to the industry from being put into federally insured banks. 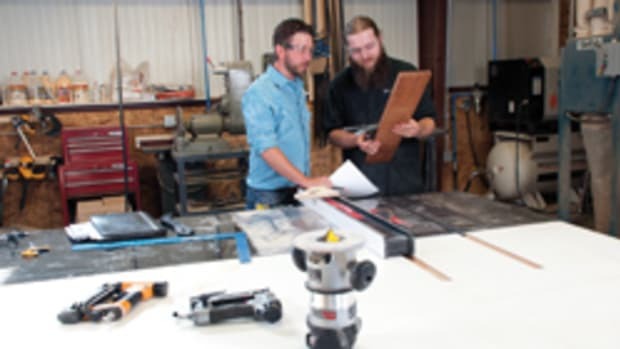 While at his first shop, Kelley joined a professional networking organization called LeTip, where he and other likeminded members could exchange business referrals and other information. Each member got 30 seconds for a “commercial” at the meetings. 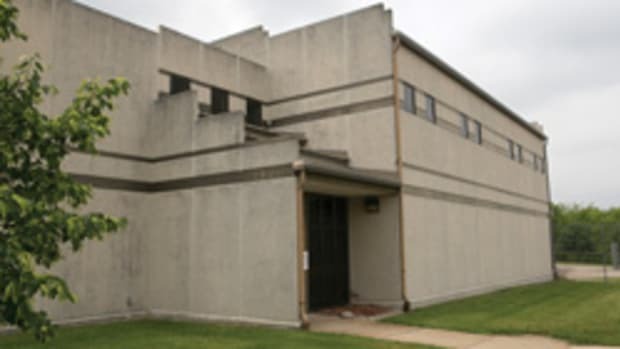 He would start his off asking how everyone was feeling and the whole group would respond “Irie.” He started talking about where he wanted to find work, one of the places being in the nearby upscale community of Park Hill, and the jobs came in. He still relies on networking through word of mouth from customers and their acquaintances. Urban sprawl has defined Denver during the last 15 to 20 years. And this has been good for business, according to Kelley. “The [Stapleton International] airport used to be near my shop and there were planes flying over every minute,” he says. “Now the [Denver International] airport is way out in the country and city is growing in that direction. But the businesses around here, a bunch of hotels that used to serve the old airport, are being turned into businesses and residences, so there’s a lot going on. The local remodeling market is also strong. 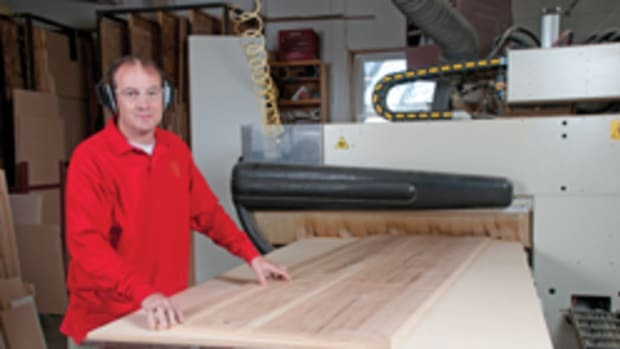 Kelley estimates about 90 percent of his shop’s work comes from remodeling. “We specialize in a lot of small space planning,” he says. The shop considers all of Colorado as its primary market. From Kelley’s perspective, the state has just about everything one could want. Black or white painted kitchens are the hottest trend going, Kelley says. Shaker is the most popular cabinet style and he’s made sure to infuse some of his offerings with a touch of home. 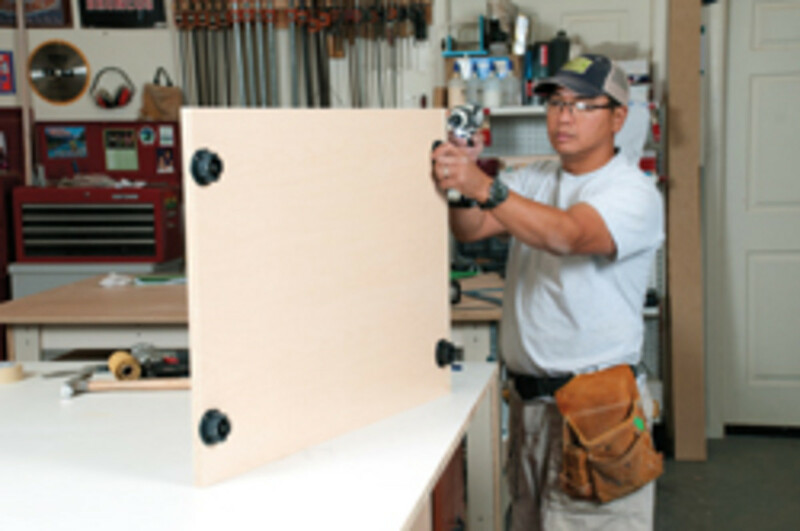 “I have this solid, raised-panel Shaker door I make with this molding inside that we call Savan. It’s one of our most popular doors right now. It is named after an inner-city neighborhood my grandmother is from in St. Thomas. It was the first African American area there once the slaves were free. They just congregated there. Even though it is kind of run down, I still love that area. Staying ahead financially is always difficult, but Kelley says it’s gotten better in the last few years. “My guys really push me to make moves like buying machinery. I was stuck in dinosaur land. I wanted to expand, but I didn’t know what it meant to expand,” he said, referring to a few recent purchases of used machinery. 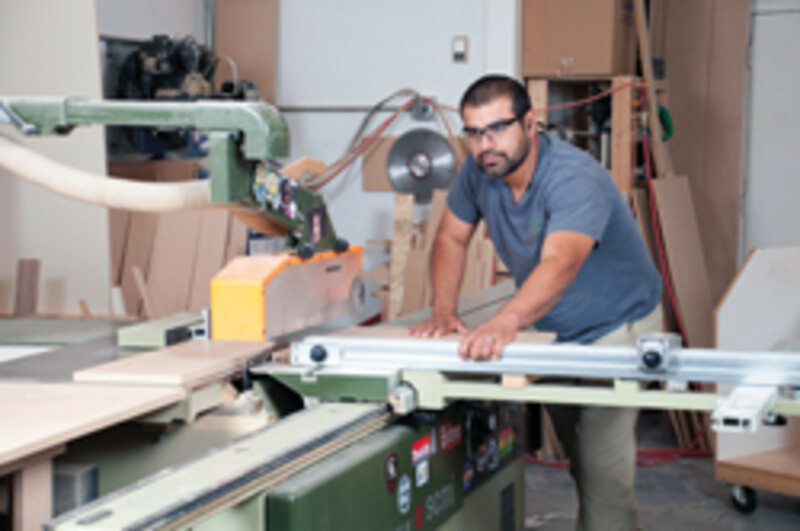 In addition to Fiddes, the crew includes shop foreman Pat Wagner and craftsman Julio Rosales. 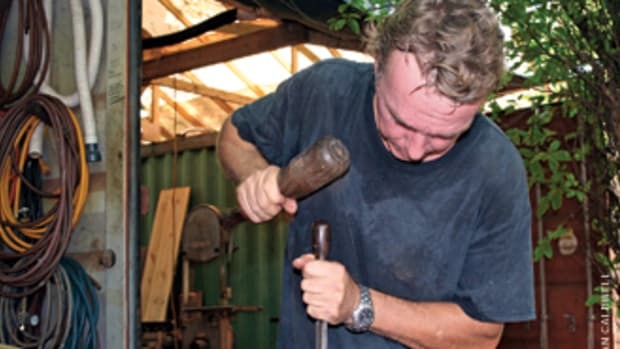 Kelley is probably one of the few woodworkers who can make light of the recent economic recession. Perhaps it’s his laid back Irie personality. Kelley has clearly come a long way from starting with installs. But he’s still all about the end result. 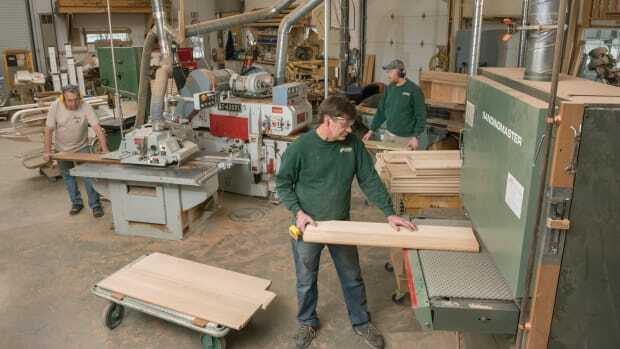 What goes up must come down in the stair business, though that hasn’t been the case for King & Co. in Marlborough, Mass., celebrating its 32nd year anniversary.